the geordie times online (newcastle united archive fanzine): THE MAGICAL MYSTERY TOUR*** NEW GROOND! *** NEW GROOND! 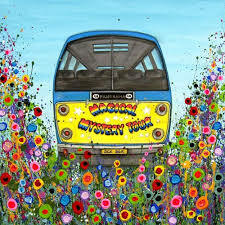 THE MAGICAL MYSTERY TOUR*** NEW GROOND! *** NEW GROOND! The NUFC mad-sad groundhoppers are off on wor travels yet again tomorrow afternooon at '2 00 bells'! This time to Stockport where Bornley U23s are playin a HOME GAME against wor U23s in The Premyaa Leegue Cup! We 'fink' that there must be at least 10 lower leegue and non leegue groonds nearer, like Accrington and Bury where they could play resorve games on! Wor club insider told me the game woz bein moved to Borley's trainin groond but then told me it woz at Stockport again but with a '1 00 bells' kick off tomorrow afternooon! A full Geordie Times match report and pix will appear here on Friday--provided the game isnt cancelled by bad weather or moved somewhere else!--'God forbid! THE TOON v BORNLEY *** TOONEET! STURRIDGE DOES A U TURN! "LETS GAN ON THE BEVVY IN JANU-ERY@ CHELSKI!" A LITTLE BIT OF CHEER AT LAST! "LETS GAN ON THE BEVVY IN JANU-ERY @ MAN CITY!" THE PANTO SEASON ISNT OVER YET, FOLKS! THE TOON v SWANZEE *** SATURDAY AFTERNOOON! "NO ONE LIKES US!---IT'S NOT FAIR!" "IT'S NEVAA PLAIN SAILIN AT THE TOON!" THE CUP DRAW HAZ NOT BEEN KIND! SPECULATION ACROSS THE GEORDIE NATION!